Technology advances quickly and here at WEI we look for opportunities to leverage the latest technology solutions to help our clients optimize their IT environment. Browse through our library of white papers, briefs, videos, case studies, and more, covering topics of interest across several technology areas. In an era in which IT departments are pressed to do more with less, the hardware driven data center is no longer sustainable. 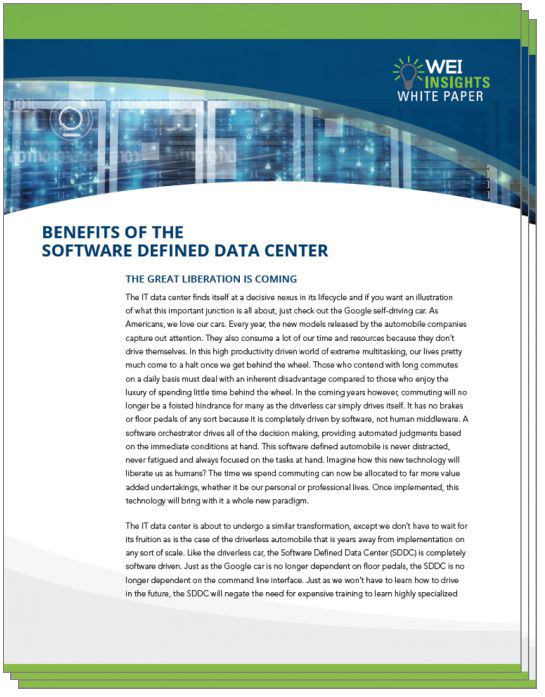 Technology in the data center has continually evolved and has actually prepared us for the Software Defined Data Center.